Public Storage rents spaces large and small, from closet-sized units to ones that can hold the contents of a five-bedroom house. Choose from drive-up, walk-up, elevator-access, indoor or outdoor units, depending on the amenities available at the location you choose amongst thousands of our facilities. Renting from Public Storage is fast, flexible, convenient.A Great Deal:$1 first month's rent*No credit card required for reservations; no obligationRent month-to-monthClean and trusted:Convenient Access to your units Well-lit, fenced propertiesComputer controlled gated accessYou keep the only key to your unitExtra perks:Climate controlled units availableManagers live on site at many addressesPacking Materials and locks available for your convenience Personal, business or vehicle storagePay and manage your account online or on your smart phoneCall now or visit our website to find a location, check rates, reserve! * Subject to availability. Other restrictions, taxes, and fees, including an administrative fee, apply. Established in 1972. 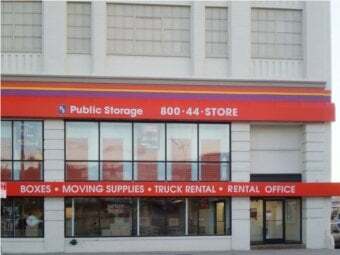 The first Public Storage building opened in El Cajon California, but the new business was only supposed to be temporary. Two partners pioneered the concept as a way to use their real estate investment while they waited for the Southern California community to take off and value of their land to grow. They kept building, and people continued to fill their units. 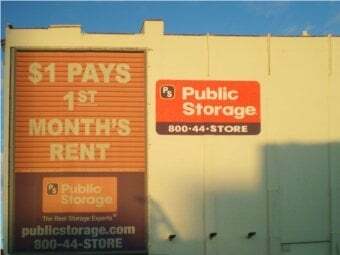 Eventually the pair realized that self-storage was here to stay, and they never looked back. Today, there are thousands of neighborhood Public Storage locations to choose from, many right around the corner from you. I absolutely loved my experience. I needed a storage space at last minute and they were so accommodating. The customer service was impeccable and Jerae & Shivonre (I think I spelled it wrong) were so helpful and informative. I definitely recommend this space. They were thorough! Love you guys! HORRIBLE experience- please save yourself the aggravation. 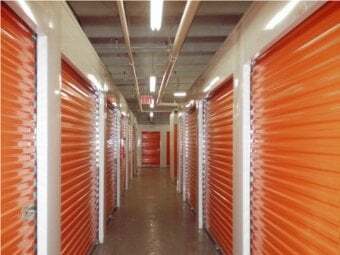 You can get much better storage in the area for the price.The building is old, dusty, and leaky, the floors are the old boards that make it hard to push the carts. There is no overhead lighting in the units.The elevators aren't big enough and you have to turn sharp corners to access. MOST IMPORTANTLY:::: they will offer you a deal and then secretly raise the rent 6 months later although they maintain they sent an email which I never got. They also changed the building access hours to something ridiculous, only open while most ppl have to be at work. Awful. I only feel bad because the people that work there are actually nice. Go to Storage Plus across the bridge and be happy. My experience wasn't completely miserable but it left a lot to be desired. 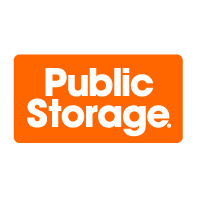 Overall I think that the employees at public storage are nice people and are doing what they are trained to do, but therein lies the problem. I booked my storage facility online two weeks in advance for a start date of 9/1, I was called by an agent to come by asap to review the space and that I only had 48 hours to do so. I didn't understand why. When I explained that due to my work schedule I would not be able to come for another week, he was reluctant but finally stated that was okay. When I did show up one week early, it was only then that I realized that they wanted me to book the storage facility as early as possible (before I even needed it) so that I would pay more days in rent. And I was stuck doing so. Furthermore, they got me to buy a twenty dollar lock without ever asking me directly if I was interested in buying a lock. When I asked what I was paying for in my bill they didn't mention. I noticed it afterwards. I was too tired to argue. Lastly, the light was broken in my storage hallway space so you can imagine my movers were not happy. The employees stated they would fix this asap but of course one month later when it came to move out, the light was still broken. So.... overall I was disappointed by the sneakiness and lack of addressing the light issues. Would probably look at other local storage facilities in the future. Got here today at 5 minutes before closing time and the lady was nice enough to allow us a few extra minutes past closing to help. Thanks. The staff rotates so I guess we were lucky.We have a room here and been using Public Storage for over a year or so now. This is where we store the gold bricks, uncarved gems and extra toilet paper. Luckily, they are open on the weekends. And seldom sees heavy traffic of customers, so that is good.The loading dock fits 4 vehicles (sedans/SUVs). If you're the first two customers to drive up front and someone comes behind you, you're blocked off until that person leaves, keep that in mind. Suggestion: if you have an extra person with you to watch the car, park on the side walk.For the storage space itself, there is usually a dolly or cart available, they have ample amount of supplies to pad your items and the staff are friendly.As expected, you get what you pay for, and depending on the locker/room a bit inconvenient to use. But since we been renting the storage space, we found the more you pay, the more convenient it is to access the room. It's not a 5 star hotel, it's a place to store stuff, so yes it's not the prettiest place. 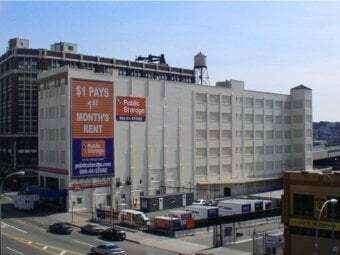 But it works and not too dirty.The area that it is in is at the end of Long Island City; near most the commercial warehouses. It is very close to the Midtown Tunnel into Manhattan, LIE and Brooklyn.I think the place is convenient for those not overly picky, kinda pricey but not overly so for NYC and it's not highly maintained but it's not a 5 star hotel. You store your stuff there. It's extra space.